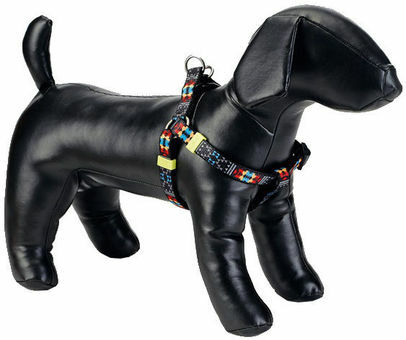 A Beeztees adjustable nylon harness called Mucadi. You can show off your pet wearing this collar featuring a variety of colored patterns. Simple to adjust and easy to put on your dog. Equipped with a synthetic snap closure. May of course be combined with the Beeztees Mucadi leash or training leash.